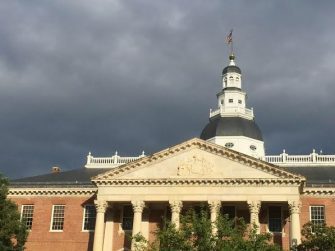 By Andrew Langer When it comes to taxes, Maryland’s Democrats have never been known for either their honesty or intellectual.. I believe, fundamentally, in anonymous speech. I have passionately pleaded this concept to skeptical liberal reporters, bent on exposing conservative..
TONIGHT’S BROADSIDE… The 36th, Flashing Lights, And It Ain’t All Roses In Elysium! Tonight on the Broadside…We’re live from the Broadcave again (at least, that’s what we’re calling it right now,Brian Griffiths – until..
A Broadside Special Edition tonight… with Mark Newgent off on assignment, Andrew Langer co-hosts with..
Friends, This piece was extraordinarily hard to write, much more than I initially thought it was going to be. The..
Fresh from the success of MDCAN’s Turning the Tides 2013, the Broadside is on the air tonight at 8pm! Mark..
What’s Really Going On In Cecil County? Is one man responsible for the sins of another? Can one politician be held accountable when another acts outside the..